Congratulations, you've just won a malware infection! You're already a winner! You just need to provide us with some personal information in order to claim your prize. We'll need your bank account information so we can deposit your winnings, and we need your social security number, for tax purposes of course. The previous paragraph was an extreme oversimplification of the basics of a typical online scam, the "real" versions of these scams are much more sophisticated and believable. Scammers have honed their craft over years and years of trial and error. They've learned what works on people and what doesn't. Most scams have several things in common. If you can learn to recognize these common elements, then you should be able to spot an online scam a mile away, before you get suckered. Let's take a look at several telltale signs of an Internet scam. Whether it's a lottery, prize, sweepstakes, phishing, or reshipping scam, money is always involved. They may say that you have won money, that you have been left money, that your money is in danger, etc, but the common element is money. This should be your biggest indicator that you might be looking at a scam. Never give out your credit card or personal information to anyone based on an email you received or a link you found in a pop-up message. Always contact your bank at the number on your latest statement, never use a number found in an email, or on a website that you were directed to by an email. We all know the old saying, "If it sounds too good to be true, then it probably is." This is definitely the case when it comes to online scams. Scammers play on the fact that many people would love to get rich quickly by learning how to make money with minimal effort or learn some money-making secret that no one else knows about. Scammers dangle the carrot of easy money in order to distract you from their target: your personal and financial information. Sometimes the scammers won't ask you for personal information but will ask you to install software on your computer. This software is usually malware, disguised as something else. Scammers make money through malware affiliate marketing programs which pay them to infect computers so that those computers can be effectively sold into virtual slavery as part of large botnets. Control of these botnets is sold as a commodity on the virtual black market. Urgent! Act Now! Don't Wait! 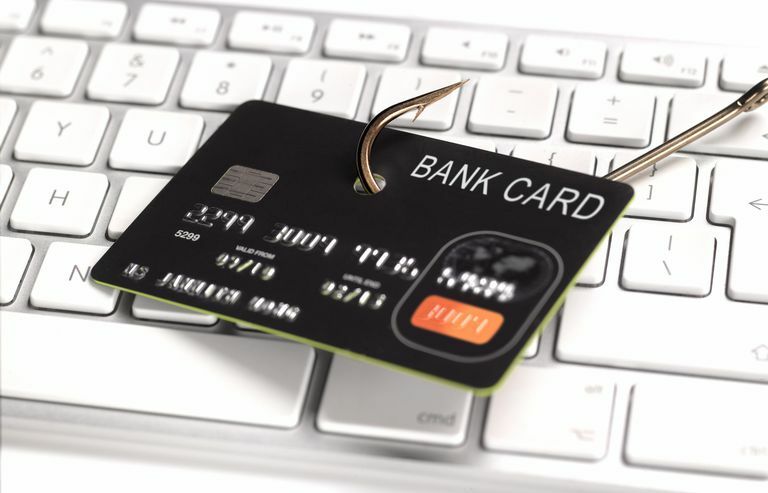 Phishing scammers are notorious for creating a false sense of urgency and attempting to induce panic in order to circumvent their victim's rational thought processes. Much like a sleight-of-hand magician uses misdirection, scammers use false urgency to distract you from their true goal. Always investigate an email before acting on its content. Take your time and check the Internet for keywords used in the email to see if it might be a known scam. If the email claims to be from your bank, call the customer service number on the last statement you received in the mail and NOT the one number you found in the email. Usually, scammers will use fear to manipulate you into doing something you normally wouldn't. They'll tell you something is wrong with your account or your computer to scare you. Some scammers might even try to convince you that they are law enforcement and that you've committed a crime such as downloading pirated software. They will use your fear to trick you into paying a "fine" (called ransomware) to make everything OK, but it's nothing more than blackmail under false pretense. If someone online ever threatens physical harm to you or your family's personal safety, you should contact your local law enforcement agency as soon as possible. What does every scammer want besides your money? They want your personal information so they can steal your identity to sell it to other crooks or use it themselves to obtain loans and credit cards in your name. Avoid giving out your social security number to anyone online. You should also avoid providing any personal information in response to an unsolicited email or a pop-up message.